View of Freedom Square in Tallinn, Estonia. 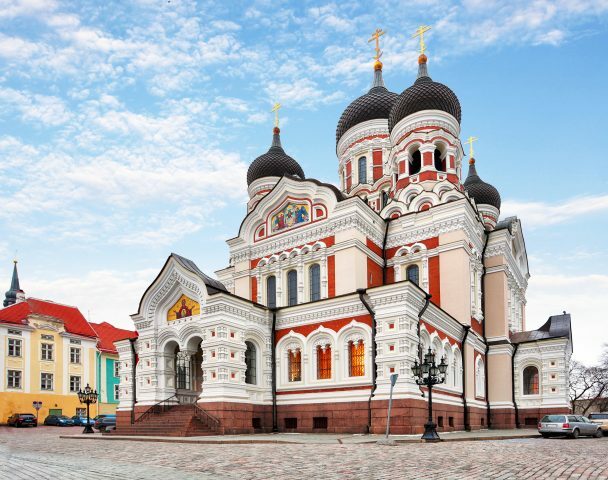 This driving tour allows you to capture the essence of Tallinn without a lot of walking. Multiple photo stops allow visits to many diverse districts. Gratuities to the guide and driver are not included in the tour price. Children’s Discounts: 3-year-old and under are free, 15% discount for ages 4-12. 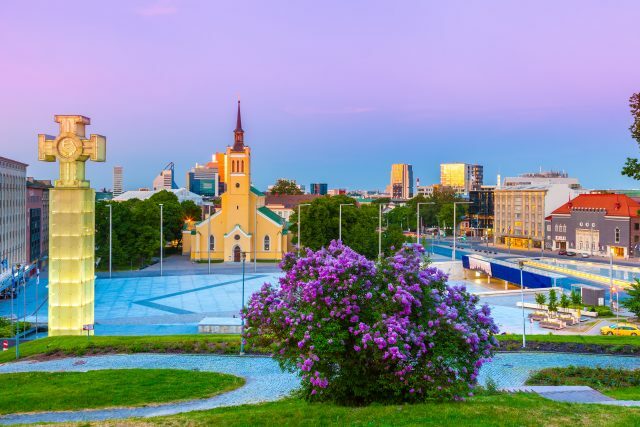 The medieval Old Town, the busy city center, the beautiful parks and the shoreline regions allow you to discover the charm and versatility of Estonia’s capital city. Just within few hours drive you will see most of the Tallinn. The driving tour takes you comfortably from one place to another and multiple stops enable you to take a good look at most notable objects and locations. The route covers the best parts of the Old Town,busy city center, classical Soviet style housing quarters, idyllic wooden districts,mansions of the wealthy citizens and shabby suburbs. We will also enjoy a coffee break during the tour in a historic setting. 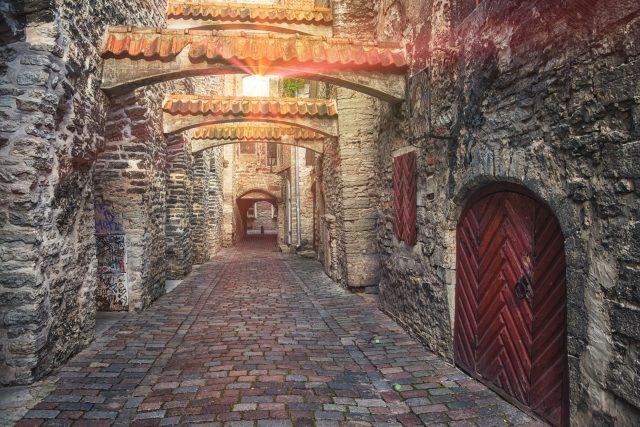 You can capture the best of Tallinn just within few hours. 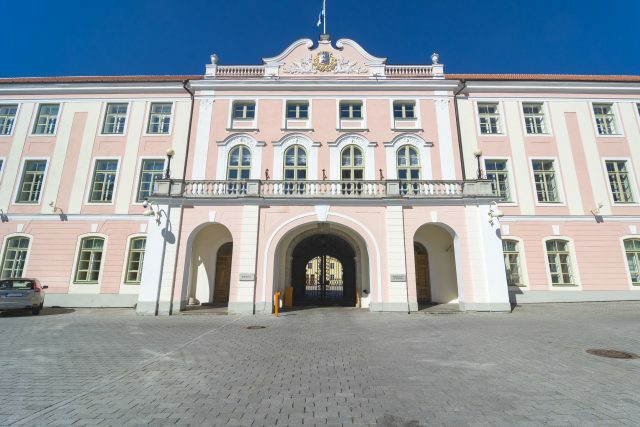 This special tour includes all most important landmarks in Tallinn and also many places that are not included in any regular city tour. 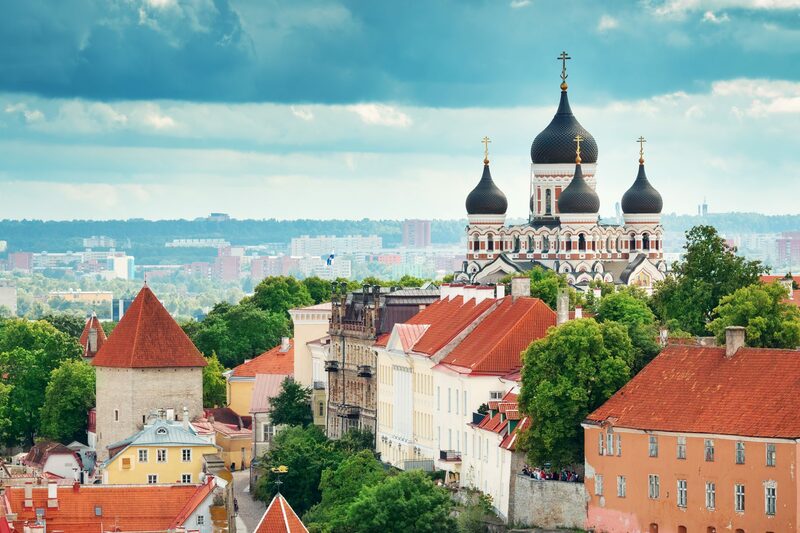 In Old Town you will visit the Upper Town, look at marvelous Dome Church and Alexander Nevskijs‘ Cathedral and enjoy the picturesque city panorama views from Toompea viewing platform. 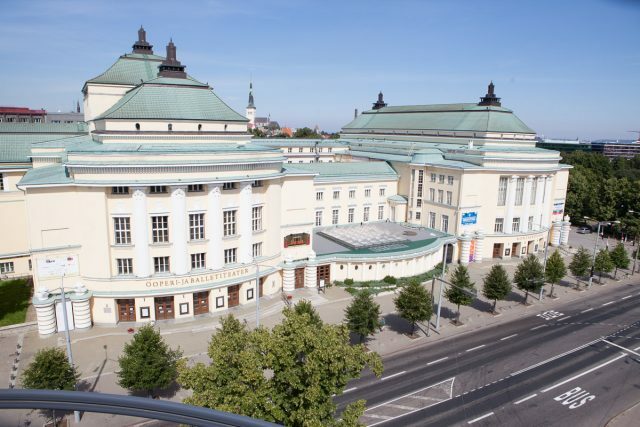 You can also see the modern city center with skyscrapers, Freedom Square, National Library and Opera House. 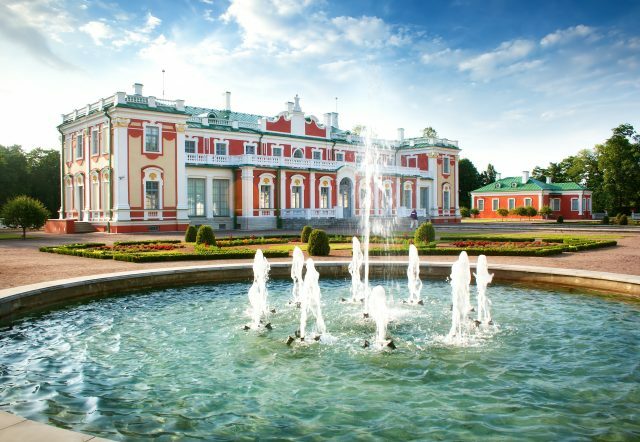 You will see romantic Kadriorg Park and its baroque palace, take a look at lovely wooden suburb also named Kadriorg. Further on you will see numerous block buildings of the Soviet era living district Lasnamäe, drive by the TV tower and look at the peaceful residences of the wealthy people. Down by the sea you can enjoy the view from Pirita beach and get to see Song Festival Grounds and the Olympic Village, where in 1980 the Moscow summer Sailing Olympic Regatta took place. Nearby lies the popular Pirita beach and the romantic ruins of St. Bridget’s Convent. All along the way you’ll get many interesting facts about the places and buildings en route. All questions and inquiries are warmly welcomed. The choice of the route is also flexible, depending on your preferences – whether you would like to see more by just driving by the most notable places or would you rather prefer more and longer stops to look around. Multiple tour discount! We offer 3% discount when booking two tours and 5% when booking three or more tours. Please note that on marked dates the tour price is % higher. For large groups price will be calculated during order review. We recently visited Stockholm, Tallinn and Copenhagen on a Baltic Cruise. Whilst searching for private tour guides in each city on TripAdvisor I happened across “Estonian Experience”. They seemed to be highly rated and offered a good tour in each city. Not knowing the region or anything about Estonia I took the plunge and booked all three city tours with the company in a package paying via PayPal. They did not disappoint, each guide and (where applicable driver) had outstanding local knowledge, were flexible and fun. We found Estonian Experience to be highly professional. Enjoy! Eva-Maria was a joy. Most knowledgeable about the city and history. The best tour guide we had in our Baltic cruise. You are fortunate to have someone of this quality! Eva-Maria´s English was excellent, the van modern and clean and her knowledge of the history and culture of the area comprehensive. Best deals and prices are one click away! Attention! We are using cookies to ensure the work of our website and provide you with best user experience. Clicking on button “Accept” would mean that you agree using cookies in your machine.